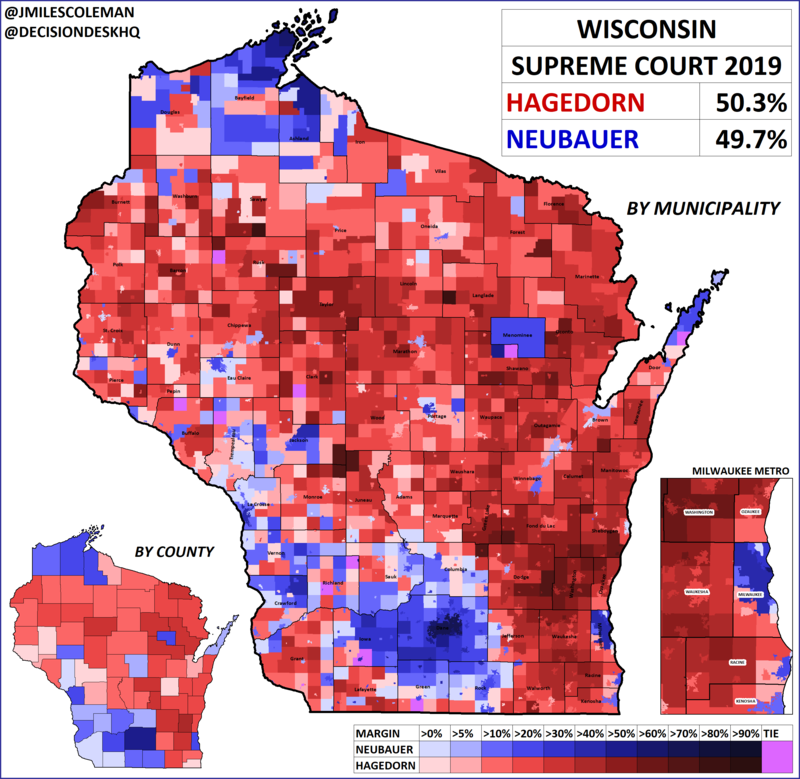 In one of this week’s marquee contests, conservatives managed to flip a seat on the Wisconsin Supreme Court, Brian Hagedorn upset Lisa Neubauer by just about 6,000 votes. Thanks in large part to the work of Decision Desk HQ’s reporters, I’ve broken down the court race by municipality. 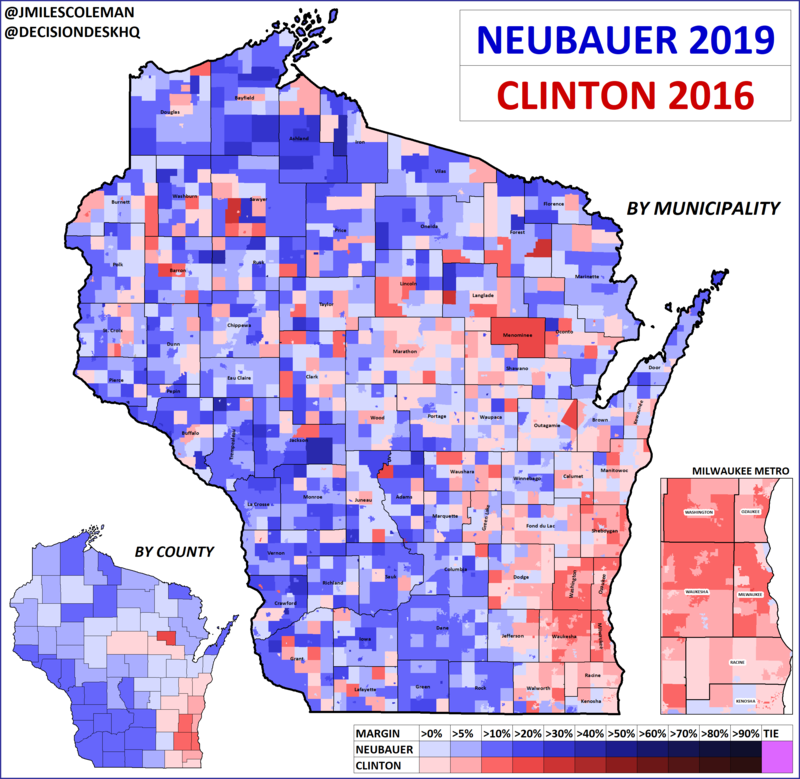 As usual, Hagedorn won by carrying much of the state’s geographic area, though Neaubauer’s strength in southwestern Wisconsin stands out. We’ll dive more into this next week, with more maps, but for now, here are two others that best contextualize this result. Last year’s court race was something Democrats were much happier about. Judge Rebecca Dallet defeated conservative Michael Screnock by nearly 12%. From 2018 to 2019, over 300 towns and villages that Dallet carried flipped to Hagedorn. These are mostly in the rural areas, and highlight a shift to the right there. 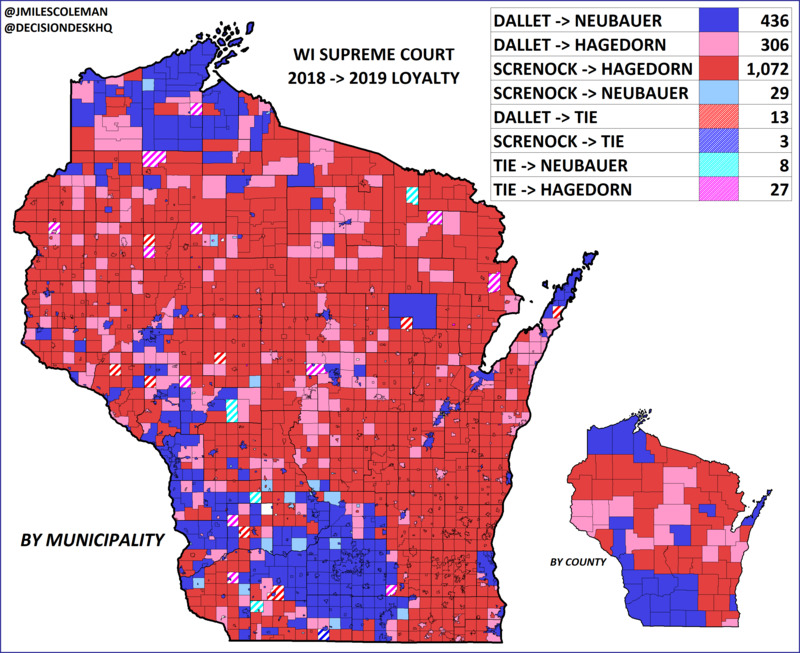 By contrast, Neubauer did pick up about 30 municipalities from Screnock; many were in the Madison area. 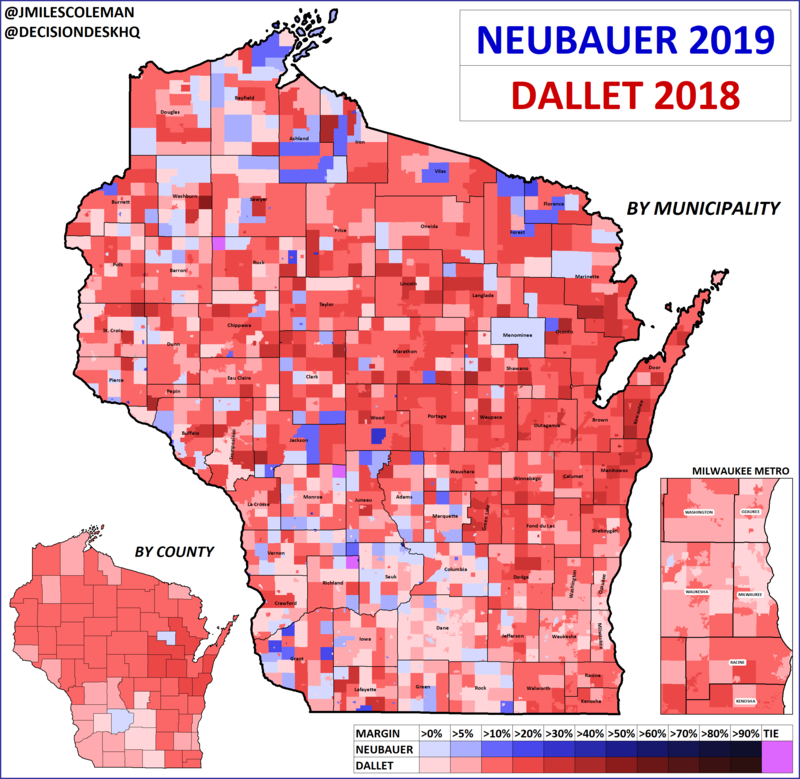 Next week, we’ll see how this result stacked up to the 2018 Gubernatorial race, and look at how turnout differences from 2018 may have helped Hagedorn pull off a win.